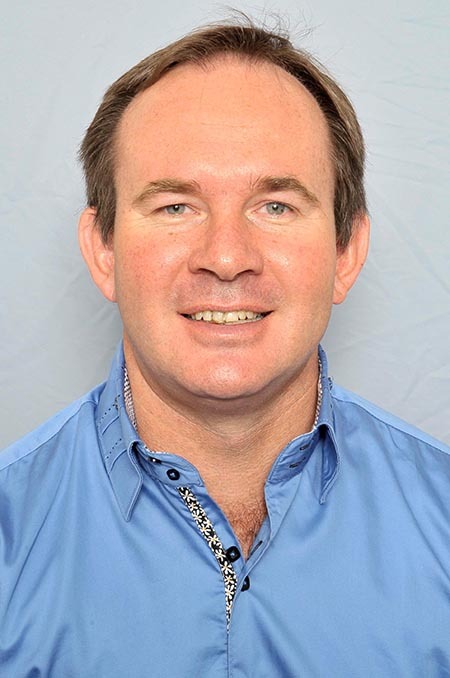 Prof LJ Grobler, a research professor at the North-West University’s (NWU’s) Faculty of Engineering and Director of CFAM Technologies, shares his opinion on the importance of research for business, and business from research. Nurturing new entrepreneurs and entrepreneurial companies is seen as one of the key aspects of revitalising the South African economy. Numerous programmes and initiatives developed by government and private institutions aim to achieve this. Students and youth are encouraged to start their own businesses to become entrepreneurs. These initiatives are mainly driven by development agencies and business schools at universities and other tertiary institutions. In the USA, it is common to learn of businesses that started in a “garage” and have subsequently grown into mega-businesses. In most cases, research and innovation are the recipe for success. These companies’ sustainable competitive advantage is therefore encapsulated in new technology-based products or services that challenge the status quo and provide new value streams or opportunities. Some examples are Uber, Airbnb, Tesla and SpaceX, to name but a few. One could argue that Tesla and SpaceX did not start in a garage. Fact is, Elon Musk started his first businesses, which he eventually sold to become PayPal, in a garage. He then used the same principles to develop Tesla and SpaceX. Where is SA going wrong? Findings of a recent analysis of South Africa's scientific performance show the country more than doubled its research publication numbers from 3 617 in 2000 to 7 468 in 2010. Throughout this period, South Africa also improved its international publications ranking by two positions, and was ranked 33rd in the world, according to a research paper by Prof Anastassios Pouris in the South African Journal of Science. Considering these successes, shouldn't we be seeing a much greater increase in economic growth as a result? It is obvious that we should, but the problem is that we are not. I am of the opinion that we should focus more on the development of techno entrepreneurs than just business entrepreneurs. Techno entrepreneurs have the advantage of offering a competitive product or service that creates a barrier to entry for competitors. That is not necessarily the case for business entrepreneurs, unless they can clinch agreements to secure access to technologies. This is something that young business entrepreneurs will have difficulty in obtaining. Unfortunately, most of our entrepreneurial development initiatives focus on the development of business entrepreneurs. Large public or private enterprises are often approached by universities to fund research projects. Government also makes research funding available to assist in this regard. If the researcher can promise the sun, moon and stars, funding is usually granted and the researcher can apply it to technology research and development. In many cases, business and government departments’ wallets are open to it, mainly because they realise its importance and consider research as part of their social obligation. Unfortunately, in many cases, once the research project is completed, the end product is often regarded as an article in an academic journal, without the person in the street gaining any benefit from this research on a commercial level. It is my opinion that focused research with commercialisation as the end goal can only be successful if it is one of the strategic objectives from the start. CFAM Technologies, a multimillion-rand organisation based in Potchefstroom, has demonstrated the success of such an approach. What started off as a research project by a master’s student in 1998 has grown into a thriving organisation that is currently the only manufacturer of twin-screw food extruders in Africa. This enterprise saw the light of day in 2007 as a spin-off company from the North-West University's drive towards research and innovation. We would not have seen the massive successes in CFAM today had it not been for a sound foundation of research and innovation, accompanied by proper entrepreneurial business understanding. The time has come for researchers and businesses to think commercialisation from the start of a research project, not at the end or, worse, never. A culture and mind-set of commercialisation could be just the solution South Africa needs to make its research and innovation talent pay off.